Kitchens are where we spend so much of our time, preparing healthy meals for our families, and therefore a lot of us love to make them a statement in our homes. Trends change over time, including different styles, ideas and materials used, so check out what your likely to see in new kitchens throughout 2018. Kitchens can be restricted by the amount of available room on your plan, but an island bench is the perfect way to optimise the area. An island bench is both a practical and attractive feature, allowing for storage space as well as a dining area. 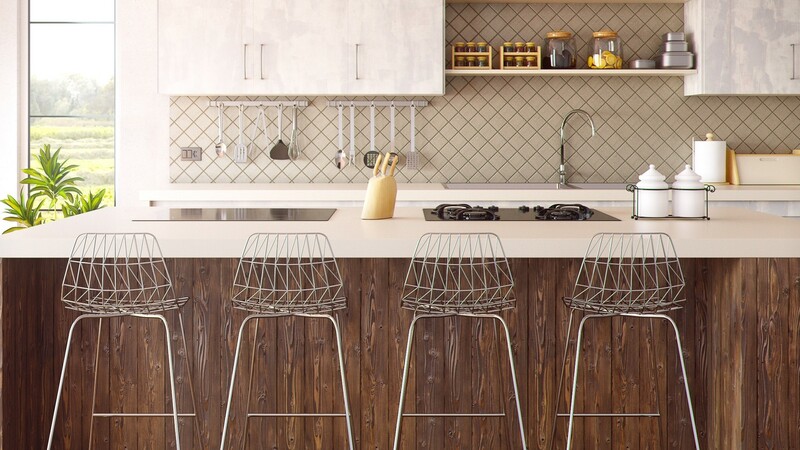 ‘'Most will have breakfast bar seating or banqueting seating attached to the island so that dining is incorporated into the kitchen area.' Says Kitchens International. The addition of a small sink into your island is a great idea too, and it means the family can stand or sit around the bench and help out with the food prep. Adding a scullery to your kitchen layout has become one of the most practical and highly sought trends. A scullery is a natural extension to the kitchen, allowing for extra storage space, preparation areas and most importantly; to hide away mess and keep your kitchen clean and fresh! Making your kitchen beautiful is a great way to jazz up your home, but every housewife knows they need to make mess to get jobs done, so why not do it in a scullery? You can check out our scullery blog for more tips on how to design the perfect area for your needs. Affordable stone options are increasingly available, and everyone loves to showcase this beautiful option in their kitchen. Not only are they beautiful to look at, they are easier to look after, and can be paired with unique cabinetry to create incredible effects. White with a marble effect is extremely popular to compliment a darker cupboard, or the very opposite looks create too. Check out different options on Caesar Stone or Q Stone. Becoming increasingly popular with homeowners and new home builders is open shelving; allowing you to make a statement in your kitchen by adding your own touch of personality with small accessories unique to you. Not only does this add character to your kitchen, but it saves massive cabinetry costs. Have all your appliances, and food stored in the scullery or pantry, so you can put your treasures out on display in the room you work in the most. 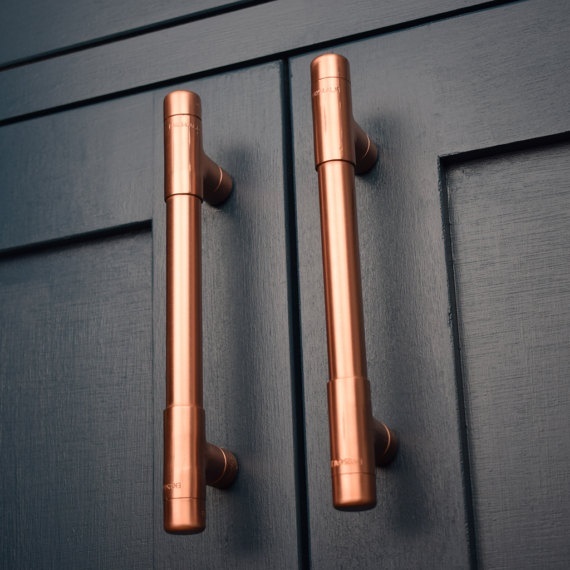 While chrome and matt silver handles are still all the go, many are turning to the ornate handles, in colours like brass, coppers and rose golds, to stand out against fresh and modern white cupboards. 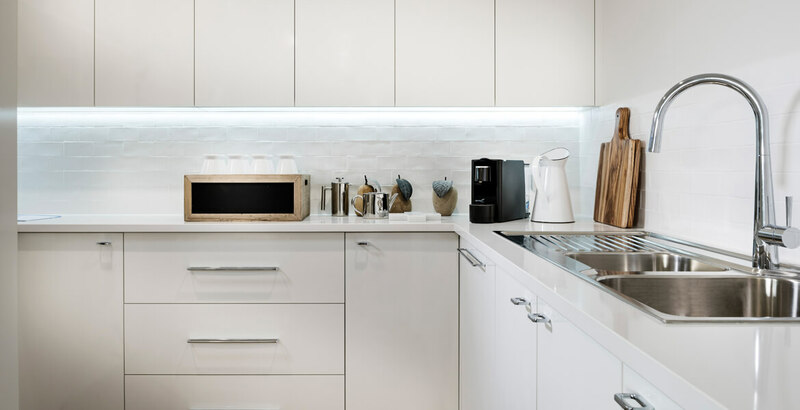 These can be matched by the increasingly popular copper and other coloured appliances, as users steer away from the stainless steel and black.